How to get to the bus station? Split Bus Station is located at the address: Obala kneza Domagoja 12, 21000 Split. If you somehow find yourself lost use this contact phone for information: +385 (0) 21 329-180. It takes approximately 9 minutes of normal walk from the center to the bus station. So, it won't take you too long to arrive at the biggest bus station in Dalmatia. Bus station in Split is conveniently located between the railway station and the ferry port. This is mitigating circumstance for travelers who use combined transport during their journey. The terminal itself is nothing to write home about, as it’s just a bunch of platforms with buses coming and going, but it’s well organised and your best alternative to getting around the Croatian coast without a car. The Split Bus Terminal has an online timetable – check it before you go looking for a bus, then buy your ticket online. What if you are outside the center? No problem, most buses ride to Old Town so make sure you use one of them. In short, when you see the ferry port, just take a look at the other side of the road and there you'll find Split Bus Station. The traffic in Split works pretty well so there's no need to panic. Split bus terminal is one of the biggest in Croatia. This means it includes a great number of stations for upcoming buses and lines to other Croatian coastal areas. Since Split is the second largest city in the Republic of Croatia and according to the great number of domestic and foreign travelers it's smart to purchase your tickets on time. That's why we suggest you to visit Vollo and check out the available lines and buy your tickets! And yes, we work 24/7. Entering the bus terminal building, you’ll see a few ticket clerk windows. They all speak English. Not the windows, the clerks. The bus that takes you to the airport is on the first platform and arrives to the first platform as well. Split Bus Station has an internal waiting room, but because of its relatively small seating capacity, and a large number of passengers it often happens that there are no free seats. Plus, just like in public transport it is nice and fair to give your seat to pregnant women, parents with small children and elderly people while they wait for their bus to come. As an alternative to waiting room you can use one of the numerous coffee bars located in the same building. Drink your soda and search the web. The nearest coffee bar with WiFi is about 200 m away from the bus. Please, secure the coins to pay baggage that is not included in the ticket price. Drivers are particularly allergic to those who pay for their baggage with 100 / 200 kuna. We must say that we understand them, but on the other hand we understand you too if you have forgotten that “little thing” because of the general strain of packaging and planning. Most Croatian carriers are trying to keep track of international standards in bus business and equipment and that's why most buses are equipped with: air conditioning, WiFi, TVs, and sometimes even with a toilet. This is the reason why passengers are guaranteed to have a pleasant trip to and from Split. In addition to the pretty small waiting area and toilet (3 kn / 0.41 €), there are sales counters and wardrobes at the station as well as representatives of many carriers. The wardrobe working time is from 6 am to 10 pm. If it's full, don't despair. There is another cloakroom at the nearby railway station and it has the same working time. Price? 15 kn / 2.03 € for 24 hours. There you'll also find toilet (3 kn / 0.41 €). Fast food diners and bakeries, besides the above-mentioned cafe bars, are the main catering facilities along the terminal. But as soon as you start walking through the city center, you will find the train station, post office and drugstore where you can buy f.e. Sunblocks and other cosmetics. On the back of the station there is a huge parking lot. The price for cars is 8 kn / 1.08 € per hour or 120 kn / 16.2 € for 1 day (24 h). Buses pay 40 kn / 5.4 € per hour or 400 kn / 54.01 € per day. If you go in the opposite direction, you'll come to a small park where you can rest after a long journey. You can also continue your walk and in a couple of minutes you will find yourself at Bacvice - Split's most famous beach and a birthplace of the picigin. Before swimming and sunbathing, we recommend you to refresh with soda or ice-coffee in popular bar named Zbirac, located just above Bacvice. Once you reach the opposite side of the bus station, you have the opportunity to catch a ferry to some of the famous Croatian islands - Brac, Hvar, Vis, Solta or Korcula. Of course, you can buy your tickets there & enjoy your travel! You left your luggage in the office and rested with a cup of coffee. What now? Split waits for you. Walk to the city centre. The Old Town, raised on the ruins of the Roman emperor Diocletianus' palace, is magical. Narrow streets, paved with cobblestone, polished by billions of footsteps, cafes and restaurants and shops in every nook and cranny, you’ll love it. The best part is, even in peak summer temperatures, the narrow cobblestone streets keep some of the cool, so you can hide from the noon sun. Walking the northern part of the palace you will get a whole new look at the Split's roof and belfry - perfect spot for selfie. In the central Peristyle square you can enjoy Shakespeare performances. We believe that after this tour you'll be clearer why Split is one of the favourite destinations of domestic and foreign travelers. Guided tours are not necessary while on travel, but the knowledge they hold can often enrich your understanding of the city and its inhabitants. After all, it's not a bad idea, but it's completely up to you! The most popular European destinations or routes for passengers traveling from Split are: Belgrade, Graz, Mostar, Prague and Sarajevo. Nevertheless, other European centers which we must mention are: Vienna, Berlin, Budapest and Munich. 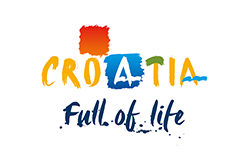 Some of the most popular travel destinations in Croatia are: Dubrovnik, Hvar, Knin, Krka, Makarska, Omis, Pag (Novalja), Plitvice Lakes, Pula, Rijeka, Trogir, Zadar and Zagreb. Dubrovnik, the pearl of Croatia, is the special one. Check why! Besides them, there are: Biograd na Moru, Bjelovar, Crikvenica, Opatija, Osijek, Porec, Rovinj, Umag and Vinkovci. Check the available carriers and the prices of the bus tickets on the Vollo web page or app. It's a perfect solution in case you're far from the bus station. If you decide to head for Zagreb, the Croatian metropolis, you can expect a hill of interesting city locations, sights, parks, lakes, shops and, recently, fountains. For information, most of the city's outdoors attractions are free so you are in a position to save money for museums, galleries and theatre. Not in a mood for that? No problem. Then go visit some of the towns around Zagreb, such as: Samobor, Jastrebarsko, Karlovac and Varazdin. Vollo tip: Before buying your ticket for Zagreb, the capital of Croatia, check if the line you are about to take goes via the highway and gets there in a few hours or takes the scenic, windy old road which takes 8 hours or more. If you’d like to see how it was in the old days, then by all means, pick the scenic route.